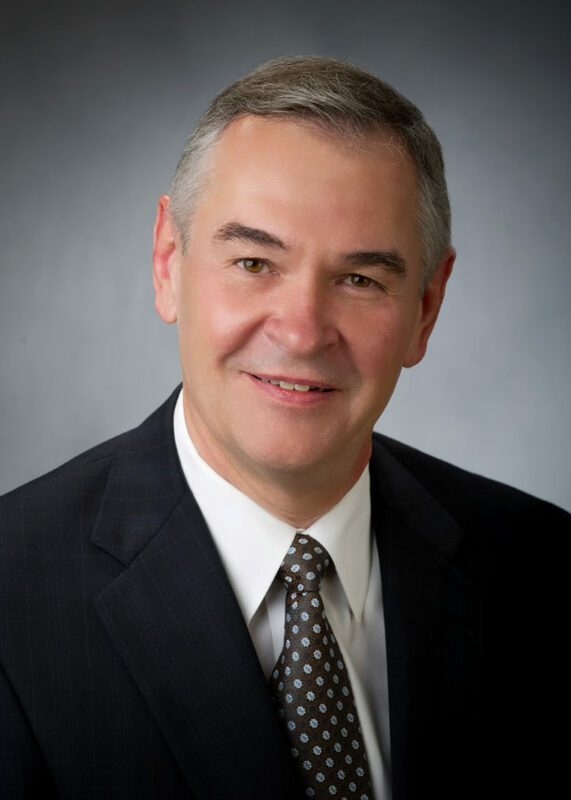 Prior to establishing Stanek Associates LLC, Bob served as President and Chief Executive Officer of Catholic Health East (CHE) from 2003 until his retirement in 2010. CHE, one of the largest Catholic health systems in the United States, employed more than 54,000 full-time employees, with facilities and services located within 11 eastern states from Maine to Florida. During his tenure, CHE included 34 acute care hospitals, 4 long-term acute care hospitals, 25 freestanding and hospital-based long-term care facilities, 14 assisted-living facilities, 4 continuing care retirement communities, 8 behavioral health and rehabilitation facilities, 37 home health and hospice agencies, and numerous ambulatory and community-based health services. CHE merged with Trinity Health in 2013. Bob joined CHE’s Senior Management Team in 1997 as Executive Vice President of the new health system’s Mid-Atlantic Division and then served as Chief Operating Officer. He was promoted in 2003 to become the health system’s second President and Chief Executive Officer. Prior to joining CHE, Bob served in a variety of capacities with the Mercy Health System of Western New York from 1992-1997, including President and Chief Executive Officer as well as the Chief Operating Officer/Care Delivery Services. He also served as the Chief Executive Officer of the Mercy Hospital of Buffalo where he coordinated activities that led to the formation of the Catholic Health System in Buffalo. Before 1992, Bob served in a number of administrative positions with the Daughters of Charity health care facilities in Pennsylvania and Virginia. While serving as President/CEO of Catholic Health East, Bob was elected to the Board of Trustees of the Catholic Health Association of the United States (CHAUSA). Comprised of more than 600 hospitals and 1,400 long-term care and other health facilities in all 50 states, CHAUSA is the largest group of Catholic nonprofit health care providers in the nation. Bob served as Chairperson from 2011 to 2012, and then as the Speaker of the Assembly from 2012 through 2013. In 2011, he co-chaired, with his wife Noel, the national CHAUSA Haiti Rebirth and Renewal Campaign, raising funds that resulted in the reconstruction of a 200-bed hospital in Port-au-Prince, Haiti, which was completed in 2015. In the venture capital arena, Bob served with Safeguard Scientifics, a publicly traded venture capital firm which provides capital and operational support to growth stage health care and technology companies, beginning as an Advisor and then as a member of the Advisory Board. During this period, he also served as President of Dabo Health, a venture backed company, which drove healthcare value through collective intelligence. Bob currently serves as an Advisor to the Healthbox Innovation Fund, sponsored by HIMSS. He also served on the Board of Directors of Accumen, a hospital laboratory management company, and chaired its Audit Committee. In addition, he was a founding Board Member of Seamless Health, an Accretive Company, and also served on the Board of Accretive Health, a publicly traded entity, providing hospital billing services. Bob earned a Bachelor of Arts degree in Chemistry from East Stroudsburg University in East Stroudsburg, Pennsylvania; a Bachelor of Science in Pharmacy from the Philadelphia College of Pharmacy and Science; and an M.B.A. in administrative management from St. Joseph’s University, Philadelphia. Prior to establishing Stanek Associates LLC, Noel served as President and Founder of Kane Stanek Associates, a consulting practice providing philanthropic counsel, campaign management, major gift and leadership development services for nonprofit organizations. Noel established her consultancy in 1992, building on her background and expertise in the management of development, planning and marketing programs, as well as the administration of separately incorporated foundations. Because of this experience, she brings a unique perspective and cohesive approach to organizations that require an integration of leadership development, planning, marketing, and fundraising initiatives. She is often called upon to help organizations who wish to initiate a campaign or major gift program, expand their development program, or augment their philanthropic outcomes. Noel has planned and administered capital/program/endowment campaigns and major gift programs for hospitals, healthcare and human service organizations, educational institutions, and religious, arts and community organizations. Her services include philanthropic assessments and development planning; campaign assessments, master plans and management; prospect and leadership development; major gift programs; donor relations; as well as philanthropic marketing and positioning. All services are built upon a capacity-building approach, with an emphasis on the coaching and teaching of organizational professionals to build skills and create the culture and infrastructure necessary to not only achieve immediate goals, but to also foster continued and long-term success. Working directly with the board, volunteers and major donors, Noel helps organizations strengthen and expand their philanthropic leadership to foster engagement by those integral to the success of a campaign and major gift initiative. Her leadership development services encompass board recruitment and preparation, board retreats, volunteer training programs, and personal leadership coaching. In addition, she works with management and development professionals to assure optimal function and effective organization including human resource planning, professional recruitment and onboarding, as well as training and coaching services. 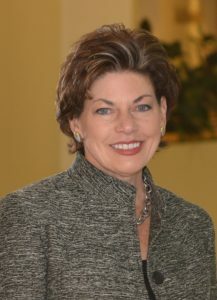 Prior to establishing her consulting practice, Noel served as Vice President of Corporate Services at DePaul Medical Center, a 355-bed teaching hospital in Norfolk, Virginia, where her responsibilities encompassed strategic planning, marketing, public relations, development, physician recruitment and practice marketing. She also served as President of DePaul Health Foundation, and while in that capacity, was elected President of the Daughters of Charity Council of Foundations representing 43 hospitals and numerous affiliates nationwide. She held a similar position at Good Samaritan Hospital in Pottsville, Pennsylvania where she administered the hospital’s marketing and development programs and established a separately incorporated foundation where she served as President. Noel holds a Master of Science degree in Human Resource Administration from the University of Scranton in Pennsylvania and is a Registered Nurse with a Bachelor of Science degree in Nursing from Lebanon Valley College. She has offered classes, seminars and programs in development, marketing, management and governance at various schools and universities including: The University of Pennsylvania, Pennsylvania State University, Villanova University, and Canisius College. She also offers programs and workshops on relationship-based development, Board and Trustee development, campaigns and major gift programs for various professional groups and organizations nationwide.